New Activity At One Of The Nation’s Largest Homebuilders – Miami Empresarial Magazine: The Business Pulse of South Florida. Lennar Corporation (NYSE: LEN and LEN.B), one of the nation’s largest homebuilders, announced that it is expanding its homebuilding operations into the Pacific Northwest, in both the Seattle and Portland markets, after acquiring control of approximately 650 finished home sites in 20 communities, for an undisclosed price, from Seattle-based Premier Communities. A privately-held company led by Ryan McGowan, Premier Communities had delivered more than 1,600 homes in the Seattle area since 1998. All the communities in the transaction have excellent locations and are priced from $150,000 to $460,000. McGowan will be responsible for Lennar’s operations in Seattle. Lennar’s start-up operations in Portland are being led by Ryan Selby, a 22-year Portland homebuilding veteran. Mr. Selby comes to Lennar from D.R. Horton, where he served as Division President for nine years. Under his leadership, Lennar has purchased primarily distressed finished homesites in 11 communities. Homes to be built by Lennar in the Portland area will be focused on first-time, move-up, active adult and luxury homebuyers. These two new opportunities are expected to add approximately 200 deliveries in the second half of 2012. Lennar’s operations in South Florida, its home base, are going strong. 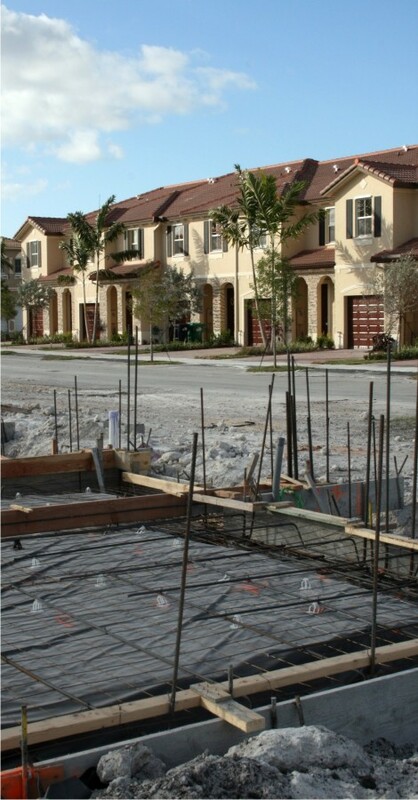 In the Miami area alone, it has 26 active communities, several of them acquired as unfinished residential projects, like Coral Lakes Homes, Patio and Town Homes (above), initiated by now-defunct builders. Lennar has homebuilding operations in 18 states and 44 markets around the U.S.